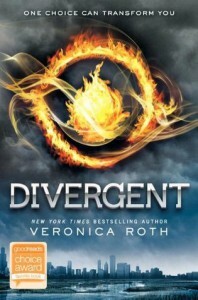 Divergent is a fantastic book! This book is full of action every page you turn and keeps you reading. Beatris is the main character and she has to choose on ceremony day which faction she is going to be in but there is a problem because she has inconclusive results from a test that would basically choose what faction they would go into. She eventually chooses Dauntless the brave faction. When she gets to the new faction she has to go through a process of getting in the first round she has to fight other people but she isn't very good as she gets 6 place in the end. During all of this abnegation the selfless faction is not getting along with erodit the smart faction and erodite is trying to take control of all the factions but with war instead of peace.